I recently got a question from a relative on the east coast, she sent me a picture as she traveled over Iowa and said “I bet you travel these patchwork quilt fields and roads daily”. The answer is WRONG. We live in the burbs of a city BUT we do live on a cornfield in town and we don’t own it. We will literally cry the day they sell it, they will too all the way to the bank! We love to watch them plant, watch the tiny plant sprout, pop up and grow knee high well before the fourth of July and then come fall watch the plants dry from green to brown and before we know it, we hear the combine coming. We always hope we are home for all the fun! 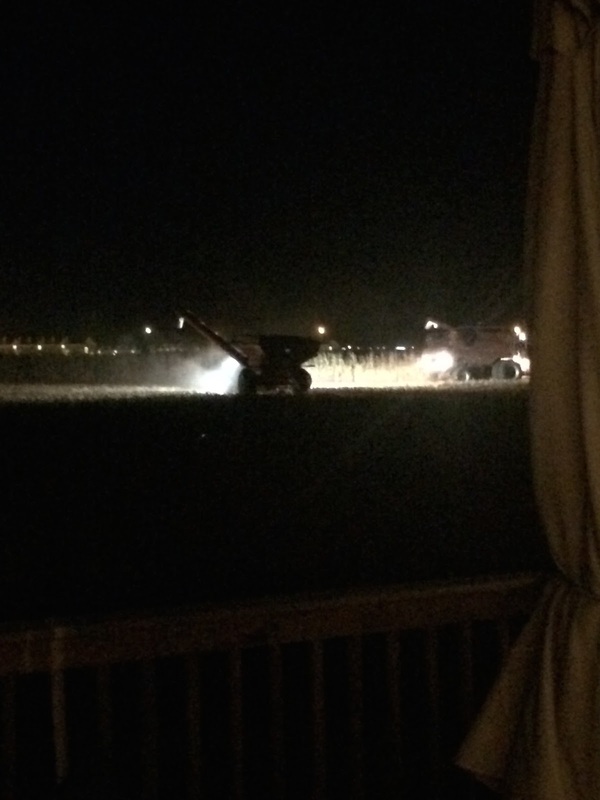 It was right at dusk this year and we got to watch it all night long, they even combined well past dark and so we watched them traverse with their lights on up and down the field filling the tractor wagon over and over again. 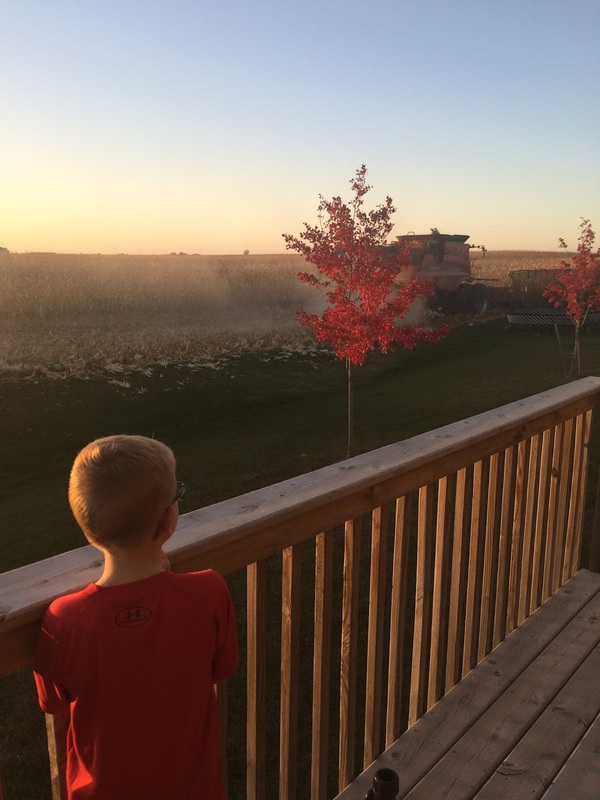 I love that we can gift our kids a taste of agriculture and the hard work it takes to be a farmer. Our backyard view is awesome and provides the best sunsets. 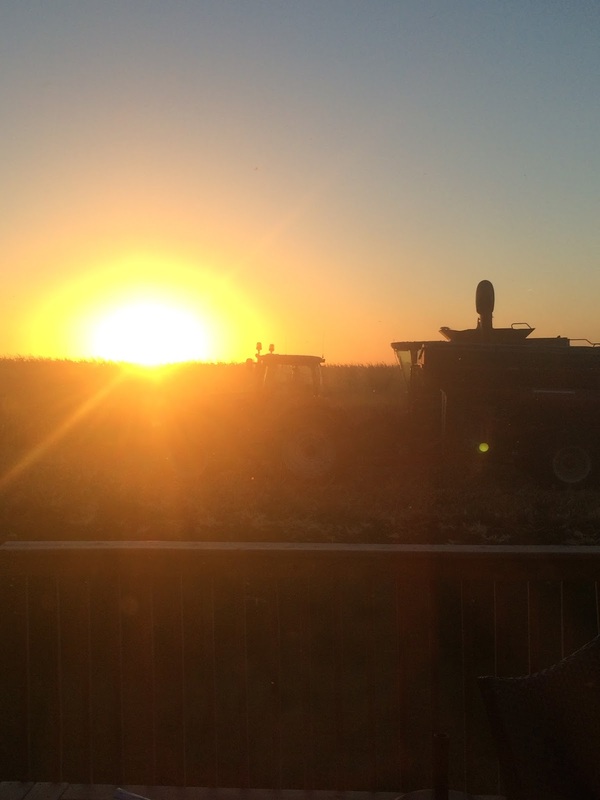 They just tilled so we are hoping that means another year of quiet neighbors and beautiful sunsets! Happy Harvest!